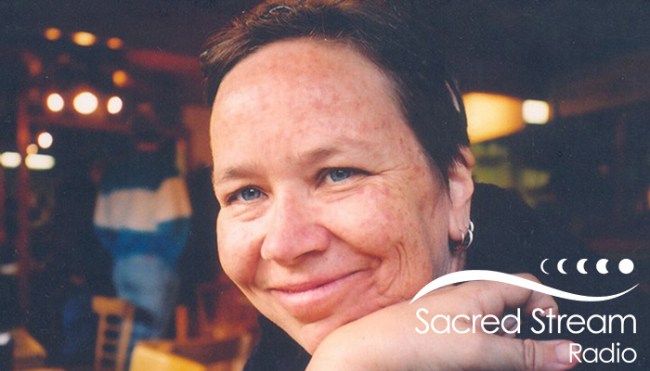 On this episode, Laura Chandler dives into the Sacred Stream archives for a 2015 interview with homeopath Lori Nairne, who died unexpectedly this past August. In this talk, Lori explains how homeopathy works and focuses on the many uses of the popular remedy, Arnica. Also on this episode is an excerpt from a homeopathy class Lori taught at the Sacred Stream in which Lori looks at remedies for anxiety. And Isa Gucciardi stops by the studio to talk a little about Lori and some of what is coming... moreOn this episode, Laura Chandler dives into the Sacred Stream archives for a 2015 interview with homeopath Lori Nairne, who died unexpectedly this past August. In this talk, Lori explains how homeopathy works and focuses on the many uses of the popular remedy, Arnica. Also on this episode is an excerpt from a homeopathy class Lori taught at the Sacred Stream in which Lori looks at remedies for anxiety. And Isa Gucciardi stops by the studio to talk a little about Lori and some of what is coming up at the Sacred Stream Center in 2018.